As the Tennessee Valley begins preparation for National Native American Heritage Month in November, the Chief John Ross Chapter, NSDAR and the Lookout Valley Community will host Tennessee State Historian Dr. Carroll Van West for a public lecture regarding the historical significance of Brown’s Tavern. The event will occur at 5:30 p.m. on Tuesday, Oct. 9 at the John A. Patten Community Center on Cummings Highway in Lookout Valley. 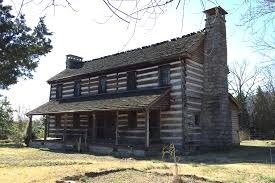 Brown’s Tavern on Brown’s Ferry Road is considered by many historians to be the oldest home in Hamilton County, built in 1803 and utilized as a tavern for travelers during the early days of Hamilton County. Recognized as a Trail of Tears historic site, local tradition holds that the Union forces used the tavern as a commissary depot following the seizure of Lookout Valley in October, 1863. Privately owned, Brown’s Tavern is one of the most recognizable sites in the region. Dr. West currently serves as Tennessee state historian, is the co-chair of the Tennessee Civil War Sesquicentennial Commission and is director of The Tennessee Civil War National Heritage Area. He serves on the board of advisors for the National Trust for Historic Preservation and continues to work extensively with the National Register of Historic Places program. He has worked with museum and preservation projects in many other states and has been recently working on historic preservation issues in Alabama, Mississippi and Montana. He has written numerous articles and book reviews in southern and western history and regularly speaks to history, museum, preservation and civic groups and conferences in Tennessee and across the nation. Dr. West’s research interests lie in 19th and 20th century southern and western history, as well as architecture and material culture. As a professor in MTSU’s history department, he teaches courses in architectural history, historic preservation and state and local history. Dr. West has directed to completion over 80 M.A. theses and Ph.D. dissertations of MTSU graduate students in history, historic preservation and public history. A native of Murfreesboro, Dr. West holds a B.A. from MTSU, a master’s degree in history from the University of Tennessee, and a doctorate in history from the College of William & Mary. For more information, contact localhistorycounts@gmail.com.